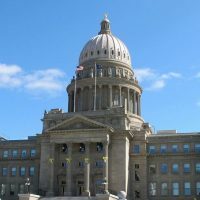 Three Democrats on an Idaho House panel considering a change to the state Constitution involving redistricting walked out in protest before the 10 Republicans voted unanimously to send the legislation to the full chamber. Friday’s decision by the House State Affairs Committee sends to the House the proposal to add a seventh member to the independent commission that redraws congressional and legislative maps. Democrats on the committee said the public hadn’t been given adequate notice of the hearing and left the room before the vote. If the legislation passes by a two-thirds majority in the GOP-dominated Senate and House, the plan would then go to the voters for approval.